New York Review Books, 1957 (2007). 400 pages. Milan-born Carlo Emilio Gadda took the road less traveled. Trained as an engineer, he settled into writing only in the 1930s and picked up full steam after 1945 thanks in part to a seething if not unrivaled distaste for Benito Mussolini’s legacy. This revulsion (or love in backward lockstep) is the drumbeat of his unfinished masterpiece, Quer pasticciaccio brutto de via Merulana, a boisterous, beastly and often surreal account of life in Fascist Rome that depends on a burglary and a murder (separate crimes) to introduce a remarkably randy cast of characters that includes cops, countesses, nouveau riche lackeys and an a punned pantheon of whores, all of them “protuberantly theatrical.” His decomposing Rome of 1927 is a cauldron of caricatures that come to life through Gadda’s dialect-driven affect, which oozes vulgarities of body and mind. 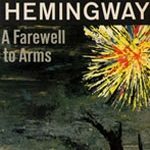 The result is a novel as a literary belch, an insightful excrescence that contains ingredients of Joyce’s voluptuousness, Lawrence Sterne’s vernacular, and Rabelais’ rabble-rousing. 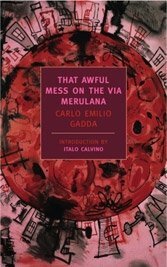 William Weaver’s 1965 translation of Gadda’s insider cadences is an unsettling marvel, but can’t do justice (even Weaver admits) to the author’s 400-page rhetorical rant, whose pungent, interconnected sentences are embroidered with arcane inside jokes and historical references, together in bedlam. Don Ciccio feels “stifled, crushed by the tales and their tellers,” understandable since both Rome and “our beloved Italy” become a crushing agglomeration of layered life forms presided over by a lunatic and all but managed by women, who, in “their overacity” — think ovaries — preside over a separate gravitational field to which men mostly defer, like Ulysses before Circe. “The world of so-called verities,” thinks Don Ciccio, “is merely a tissue of fairy tales: and bad dreams,” and overturned dreams “are our perception.” Gadda’s language and portrayals are a ferocious precursor to Fellini’s cinematic images. 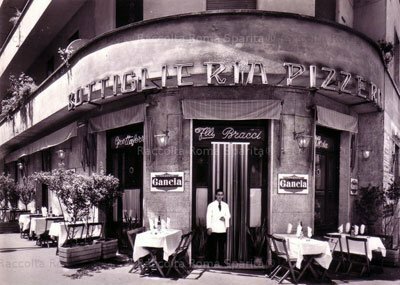 His Rome is at once warped and beautiful, fake and vivid, so much so that only a Damnato Shittonio — the great corruptor — could ever have lorded over it. The Book Staff represents a series of authors who review books for the magazine on a regular basis.